They are cluttered and cramped; they are airy and spare. They have vast and open views; they are small, windowless spaces. They are casual living spaces at the heart of their homes; they are cloistered nooks where no one else enters. 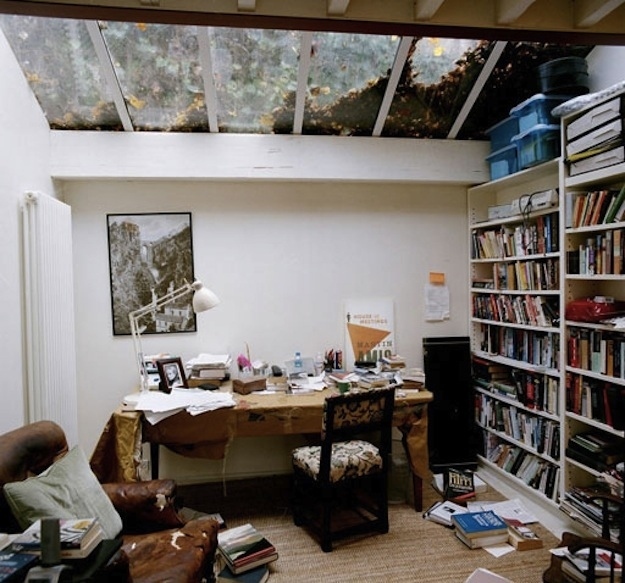 These are the “Inspiring Workspaces Of The Famously Creative” and the only thing that connects them is the amazing -- world-changing? -- works that have been produced there. 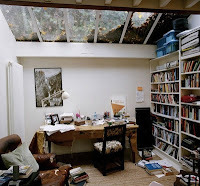 BuzzFeed’s collection of the wonderful workspaces of 40 creative geniuses includes painters, designers and writers: most of them household names. Among the writers Susan Orlean, Martin Amis (whose studio is shown above left), Will Self, Charlotte Bronte, Anne Sexton, Jane Austen, Rudyard Kipling, George Bernard Shaw, Mart Twain and others. You can see them here.